I was really excited to have my 3 year old and 10 year old girls try this product. 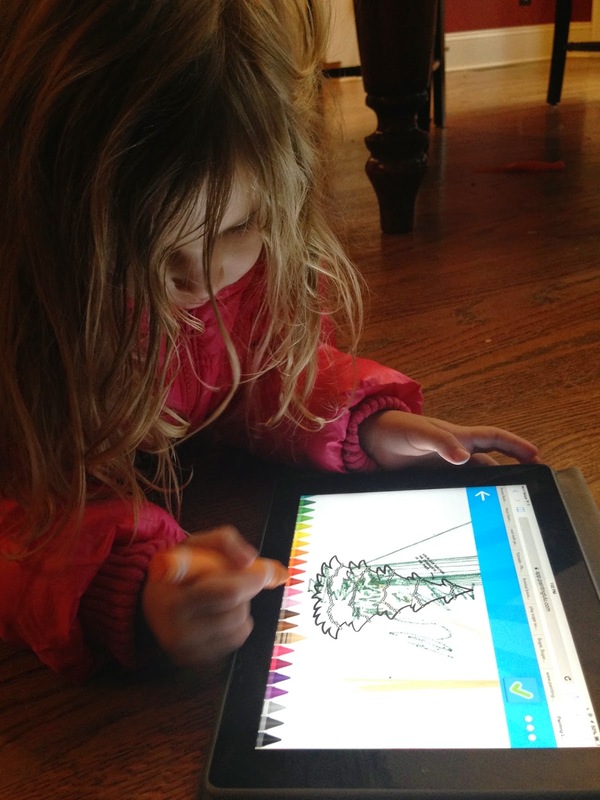 It's such a great idea - fun crayon-like experience to make any drawing and coloring on tablets enjoyable! Kids love products and toys that are colorful and make their experience fun and entertaining. The Digital Crayon Stylus is one that was created to do this; however, from my kids personal experience it didn't live up to our expectations. The Digital Crayon Stylus arrived in fun colorful packaging. I chose the orange crayon-like stylus to try-out. There are other colors available, depending on your child's personal preference. 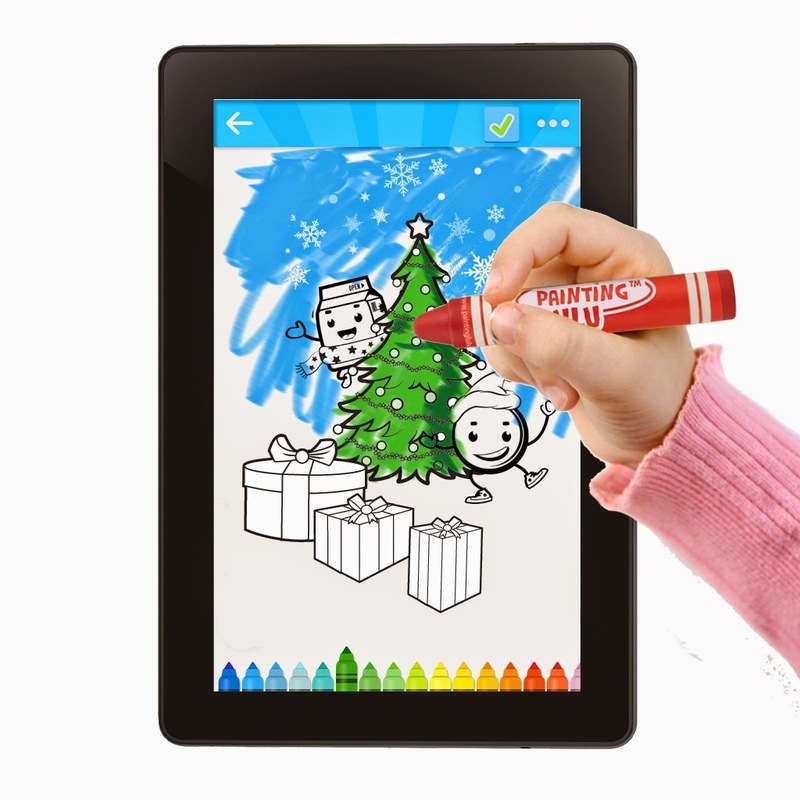 I originally thought that the color of the Digital Crayon Stylus was going to be the color that appeared when you colored or drew on your tablet. It actually isn't. The crayon-like stylus is just that "a stylus". When coloring, you use the stylus to select the colors you would like to fill in the coloring page. This to me wasn't a negative because the concept appealed to my kids - a fun, colorful stylus to use when coloring or drawing on their tablet. What was challenging for both of my kids was the size, shape and durability of the stylus's tip. The Digital Crayon Stylus's tip was made out of a rubber-like material that was soft to the touch and could easily be pushed in. And you bet that all four of my kids tested that out, which I then had to lay down a rule that NO ONE was allowed to touch the tip of the stylus. I hate having to make rules for something that is supposed to be such a fun kid experience. The crayon-like stylus's tip was also thicker, making it more challenging for even my 10 year old daughter to stay in the lines when she colored. This became frustrating for her and not as much fun. My 3 year old didn't care. She had fun coloring and it didn't matter if she stayed in the lines. However, within 15 minutes of my 3 year old coloring, she brought the stylus to me. She had torn the rubber-like tip of the stylus, making it unusable. Overall, my kids and I love the concept. However, the way it is designed today just isn't user-friendly for any child over 3 years old to easily color within the lines. 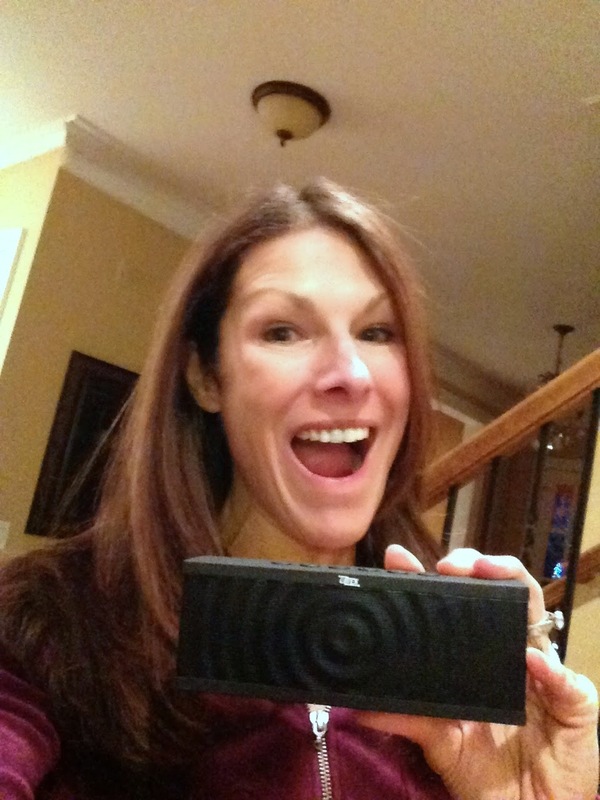 I was so excited when I was accepted by Liztek to review this portable speaker! My Assistant Softball Coach had one similar, which immediately caught my interest because it was durable and wireless. He would bring it to our games and blast some fun jams to get the kids pumped up. It worked like a charm! I highly recommend checking this product out! Even my husband was impressed. And it comes in additional colors like red and blue! As soon as Liztek PSS-60 Ultra-Portable Wireless Bluetooth Speaker arrived, I had to try it out. What I noticed immediately was that this portable speaker was so light, making it easy to tote around. Inside the box was the speaker, instructions and a connector cord for people who own smartphones or other devices that don't have Bluetooth capability. Such a brilliant addition in their product packaging! It was very easy to pair with your smartphone, iPad or other Bluetooth device. I loved that it didn't require any code to get it working. I played several songs before trying out the speakerphone feature. The sound quality was clear even when I continued to raise the volume. When testing the speakerphone, I had my 10 year old daughter call me from our house phone to my iPhone, which was paired to the portable speaker. I clicked on the phone button on top of the speaker and was connected to her. Everything worked perfectly. The only thing was there was a delay in her voice and my voice reaching each other. I've experienced this many times with other Bluetooth devices. This happens because of the technology being used and/or the quality of the connection. Other than that this portable speaker works amazing! Discover what new adventures Billy and Monster get up to in the latest episode in this exciting series. A game of hide and seeks plunges Billy into a world filled with snow, happy monsters and houses made of chocolate. You will love reading this story to your loved ones as they get to learn the most important thing about this special holiday season. Expect funny illustrations, laugh out loud moments and touching moments in this funny book for kids. 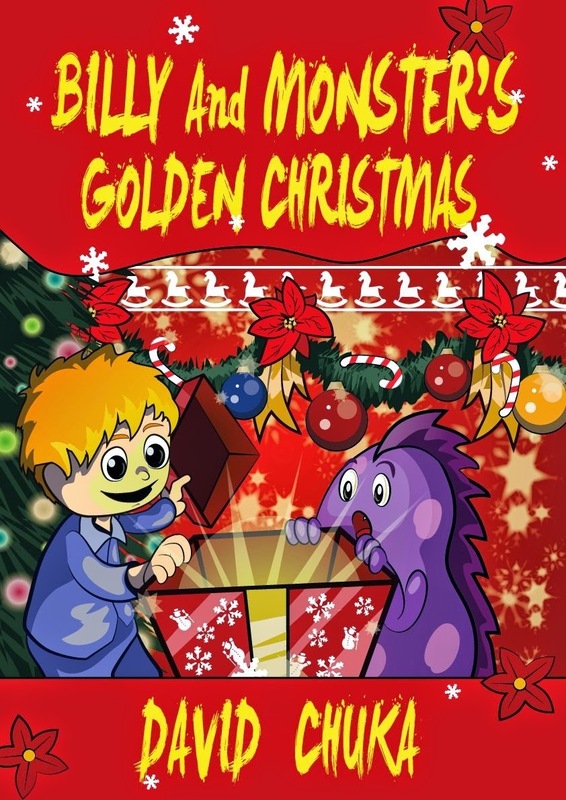 Billy and Monster's Golden Christmas is hilariously entertaining and colorful! Kids will be entertained through the imagination of Billy leaving his world and going to his farting friend Monsters world. In the end, Billy discovers a very valuable lesson the true meaning of Christmas! This is the second book I've had the pleasure to read authored by David Chuka and it won't be my last! The first two books are just plain silly. Mr. Chuka has quite the imagination, which kids will love. But he also has a talent for teaching important lessons such as what Christmas is really about! I highly recommend this book if your looking for a fun holiday read with a wonderful Christmas ending! 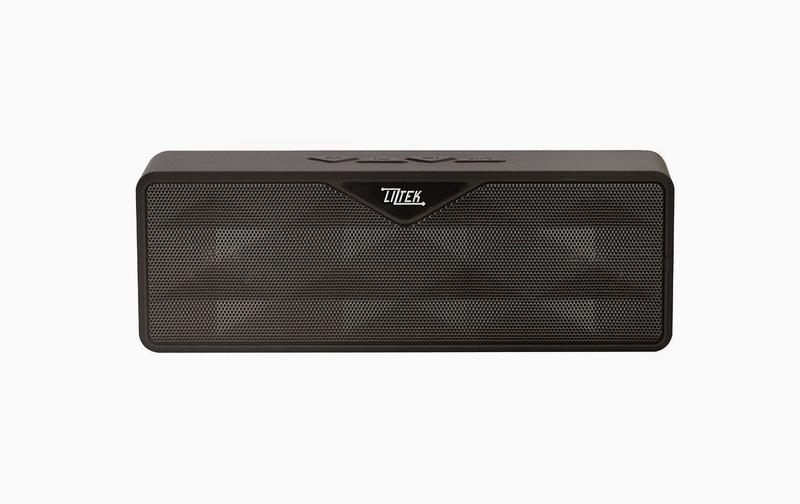 This portable speaker is great for outdoor parties, the beach, tailgating, and kids sports games! 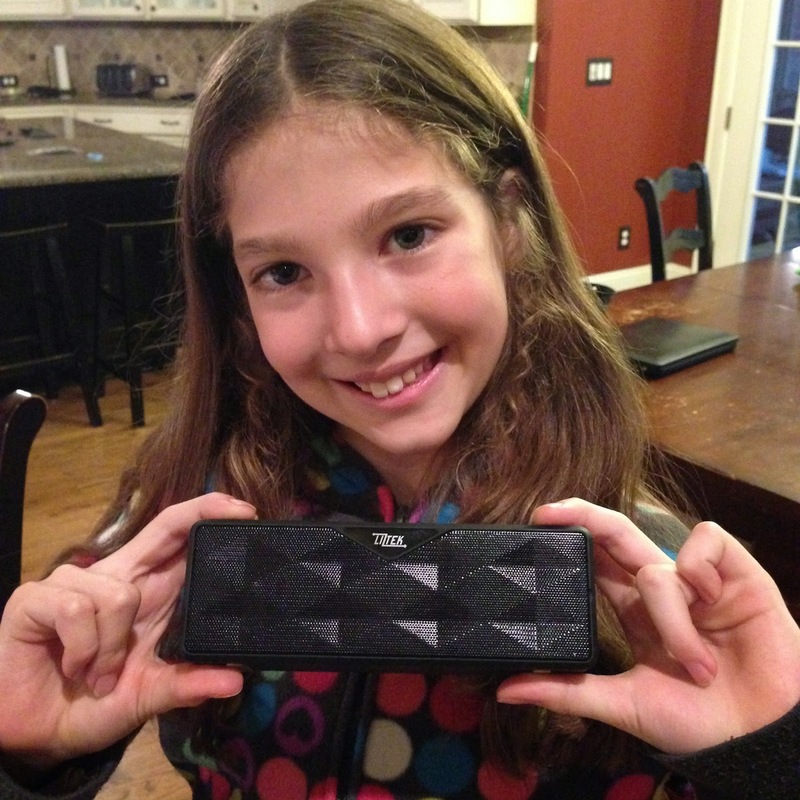 The Liztek Wireless Bluetooth Speaker is the first portable bluetooth speaker I've tried. I own several other portable speakers, all that require me to plug it into my iPhone, which I have to disconnect to make a call. 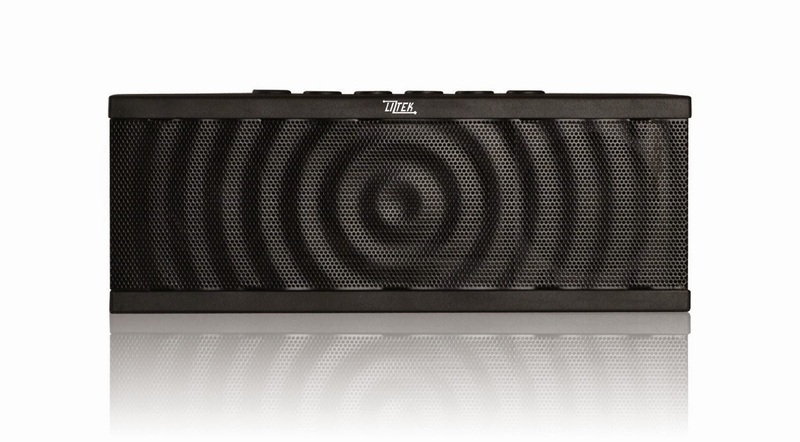 With the Liztek Wireless Bluetooth Speaker you don't have to disconnect because it's wireless! I love that you can easily connect it to your smartphone and there aren't any wires required if your smartphone is bluetooth enabled. Setting it up is very easy. First you need to charge the portable bluetooth speaker. It took less than 3 hours for it to be fully charged. Then all you need to do is turn the bluetooth feature on your smartphone (i.e. iPad, Android device, iPhone) and then turn the speaker itself on. A SIRI-like voice immediately sounded and said that it's pairing (connecting with your smartphone). The speaker connected within seconds to my Apple iPhone. I played some holiday music for me and my kids. The music sounded crisp and clear! I even blasted it and still it sounded of higher quality. I hate speakers where you put the volume up and you start hearing a static, crackling sound. This speaker still sounded amazing when I blasted it. And it was LOUD! After listening to a few songs, I had my daughter call me on it. This portable bluetooth speaker is also a speakerphone! I actually was apprehensive that it would even work and for that matter sound good. This little speaker really surprised me. I could hear my daughter very clearly through the speaker and she said she could hear me too. We then switched where I called her from our home phone and she talked and listened through the speaker. Again, she sounded just like she does when we talk on a regular phone. I did notice a slight delay, but nothing major. It didn't have any impact on she and I having a conversation. I received a Liztek PSS-100 Portable Wireless Bluetooth Speaker with Built in Speakerphone from Liztek in exchange for an honest review. You can download three adorable pdfs of paper dolls created by illustrator Fanny Liem based on A Moat is Not a Goat. Just click on the thumbnail below to take you to the author's site! "A Moat is not a Goat - Poems for Clever Little Girls" follows Elsa's interesting writing style of letting the reader have loads of fun, solving fiendish clues and reading aloud rhymes that trip off the tongue with ease." ~ Read it Daddy! On the first day of National Poetry Month in April of 2014, I set the goal of writing a poem a day. My little girls and I would sit at the kitchen table - my five year-old doodled and my one year-old scribbled while Mommy wrote. As I struggled to find inspiration, I would occasionally glance at my eldest girl, who has been a doodling machine since the age of two and will often draw pictures for hours. Her doodles contained many of her favorite things: twins and mermaids, princesses and pets. But on closer inspection, they also contained stories of brave and bold little girls -girls with real feelings who fought, made-up, cried and got angry. These girls sailed ships, fought beasts and were pirates. These girls were tender and caring, who doodled and read. Her art contained REAL little girls- imaginative, clever and able to do anything they set their minds to. My hope is that I was able to crawl into the mind of a child and bottle up even a bit of the innocent yet powerful confidence of clever little girls everywhere. Mrs. D's children's picture books are colorful and entertaining! The illustrations will take your child into another world, while the story will captivate their attention. We just love Mrs. D's books! Enter Mrs. D's $50 Amazon Gift Card or Pay Pal Cash Children's Book Blast Giveaway! Title: Runaway Clothes | Author: Mrs. D | Publication Date: May 1, 2014 | Publisher: Dog Ear Publishing | Number of pages: 44 | Recommended age: 6 to 10 Summary: An enlightening story about a little girl named Nika who didn't want to take care of her clothes and toys. One hazy morning when Nika opened her closet, she discovered that it was empty. Her clothes had disappeared! What had happened to her shirts and pants? Where did her favorite dresses, coats, and socks go? Why did they leave her with just her pajamas on this misty morning? Will they come back? Taking a closer look at her room, Nika starts thinking about her attitude toward her clothes and toys. "How easy it is to lose something you love so much." She learns an important lesson at the end of this story. Watch your children have a blast reading this story while learning valuable lessons. Title: The Royal Palm | Author: Mrs. D | Publication Date: October 21, 2014 | Publisher: Dog Ear Publishing | Number of pages: 40 | Recommended age: 6 to 10 Summary: A thought-provoking tale of the journey of a royal palm born on a tiny island surrounded by mysterious waters. This tender story explores the world of someone wrapped up in herself. Protected by her cousins, the short plain palms, the royal palm grew up beautiful, but very self-centered. Dreaming about life outside the island, she did not bother with her friends, who lived as one big family. Immersed in her own beauty, she only cared for herself, until one day a hurricane struck the tiny island. Then the royal p lam discovered the true meaning of family and real friendship. Inspiring story with valuable lessons to be learned and shared. Olga D’Agostino (aka Mrs. D.), an award-winning children’s author, was born in western Ukraine. She lived in the historical city of Lviv, where she studied business in Lviv Business College. In 1992 she immigrated to the United States with her two small daughters and for years worked in her own business. In 2011 she began her career as a writer, focusing on writing children’s books that have meaning and provide valuable lessons. Two of her children’s books, The Trees Have Hearts and Good Morning, World, won Mom’s Choice Awards in 2013, and three are winners in the 2014 Readers’ Favorite contest. She is a member of SCBWI and speaks a few languages fluently. She lives in the famous town of Smithville, N.J., with her husband Patrick and a meticulous old cat named Nyda. Published children's books by Mrs. D. include Carlo the Mouse on Vacation, The Trees Have Hearts, The City Kittens and the Old House Cat, Good Morning, World!, Runaway Clothes, The Royal Palm, The Little Girl Praying on the Hill (short story) and Carlo the Mouse, Book 1: Too Many Rules for One Little Mouse. The full series of Carlo the Mouse and her new books The Mysterious Life Inside a Closet, That Is How Things Are (two connected stories: The Autumn Wind and The Kitten and the Sparrow), and her new book, The Cat Who Wonders, by Itself, and three rhyming stories in Who Is Most Important in the Fridge? will be published in the near future. Her books are available in print on Amazon and Barnes & Noble, and as e-books for most popular e-devices. She is presently working on her first novel, The Chinese Princess, and a short story, “A Taste of Bread.” For updates on Mrs. D.’s books, please visit her website: www.mrsdbooks.net. Enter the "LovePop Cards Sweepstakes" for a chance to win $50 and 5 LovePop cards. We believe in the power of human connections and want everyone to spread the love! 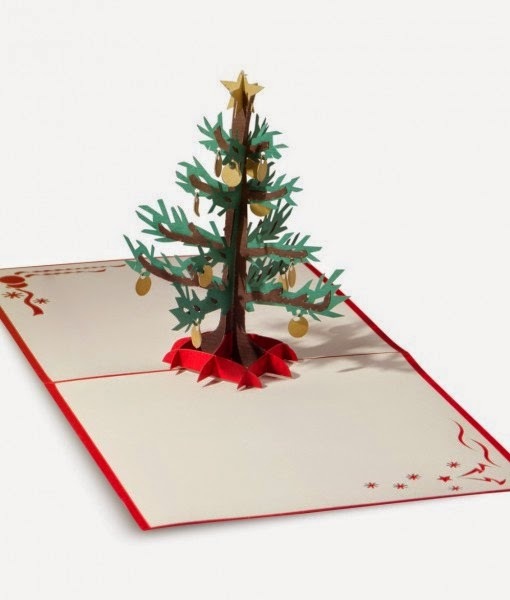 Each LovePop pop-up card is laser-cut and handmade to be an expression of affection from you to the people you love. Get into the holiday spirit by pinning your holiday inspirations to the LovePop "Holiday Gifts, Cards and Decor Ideas" pin board and you'll be entered for a chance to win a $50 Amazon gift card and 5 LovePop Cards. Below is how you can enter! Winners will be announced on 01/07/2014 via email. Love this product! 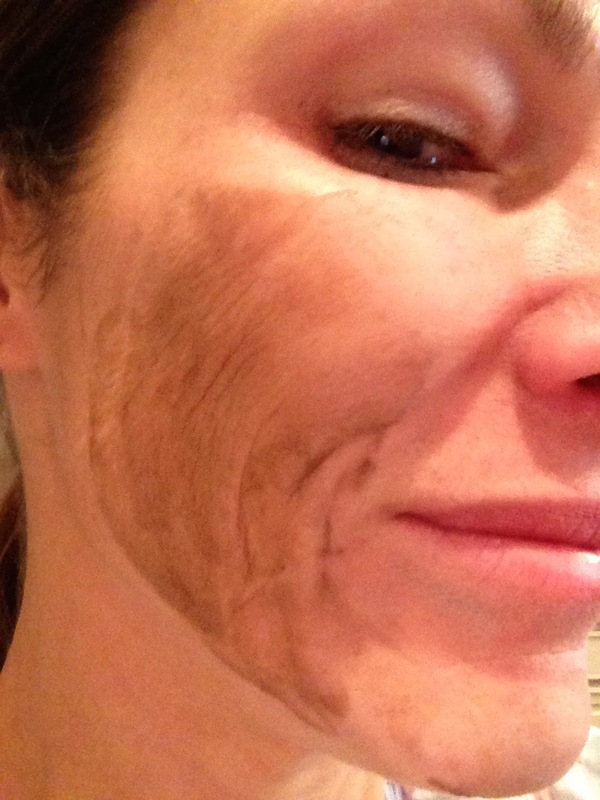 I have never had a facial or used a mud mask before. I was intrigued with the Dead Sea Facial Mud Mask because it was made from the Dead Sea's mud, which I've used the real mud before! In 2000, my husband (who was my boyfriend at the time) and I actually visited the Dead Sea located in between Israel and Jordan. It was such an amazingly beautiful place! 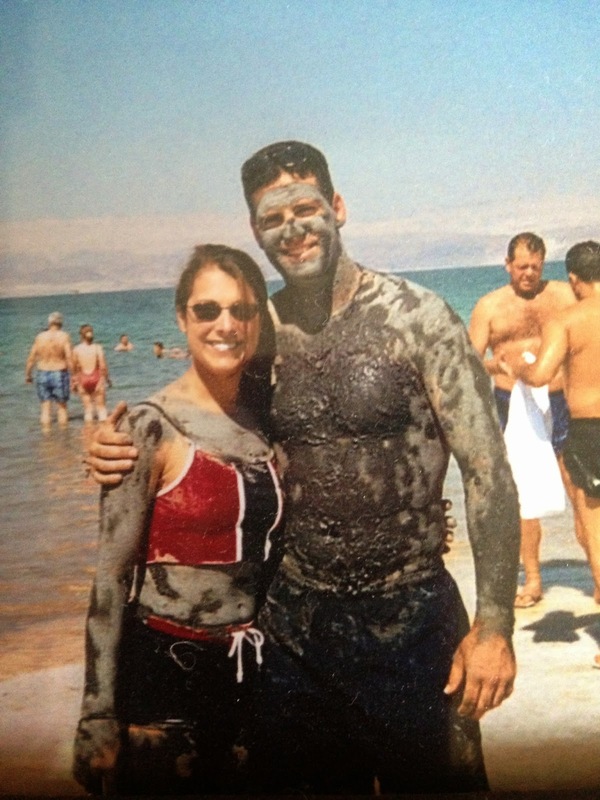 During our visit, we were fortunate enough to be able to cover our entire bodies with the Dead Sea's mud. Once our entire bodies were covered with mud, we rinsed ourselves off in the salty Dead Sea water. It was such an amazing experience! A little history about the Dead Sea. It's the lowest point on Earth and known as a natural health spa. Its mud and water have natural cleansing and healing ability, a result of the high concentration of salt and other minerals. Life doesn't exist in the Dead Sea because of its salinity. 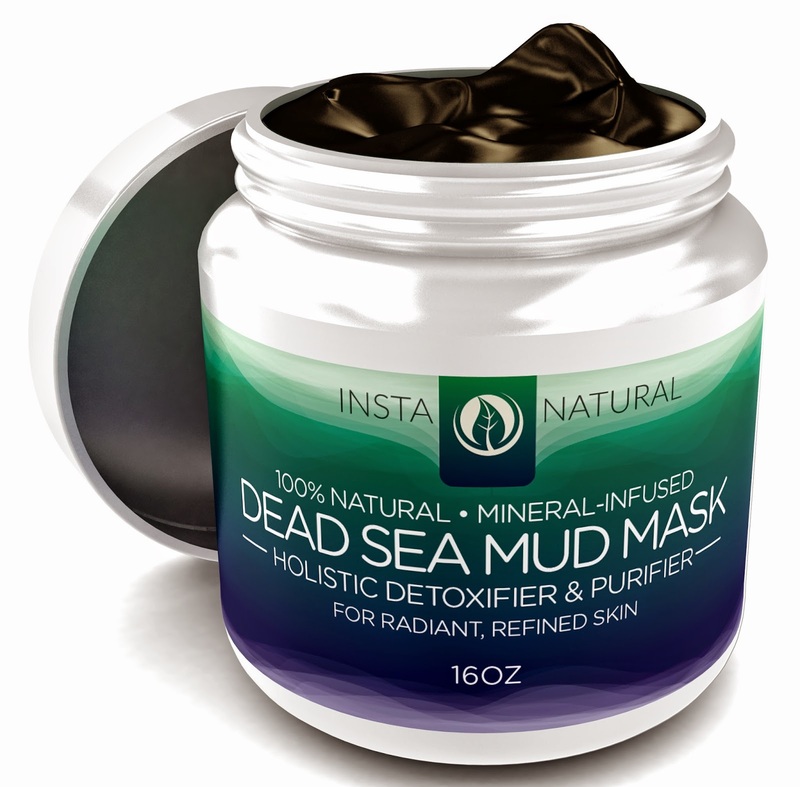 The Dead Sea Facial Mud Mask is made of the Dead Sea's mud. It arrived in a large plastic container. When I opened it up, I found that the mud itself wasn't the most attractive color. It looked like a tar, muddy color; and it felt pasty when I touched it. I put a thin layer on my face, making sure I kept it far from my eyes and mouth. The directions said to let it dry for about 15 minutes. Once it was dried, I rinsed it off. I loved the feeling! My face felt tighter, smoother and softer. As such, I plan to continue using it and I highly recommend trying this product yourself! 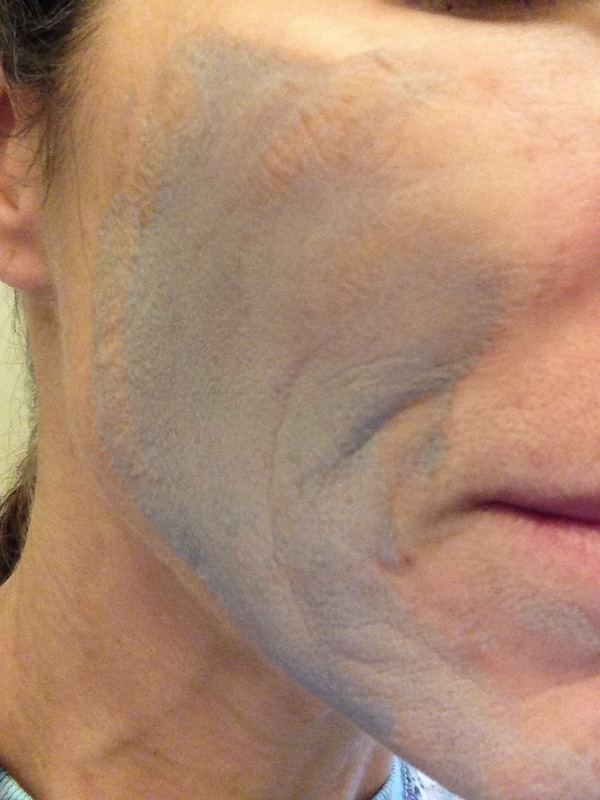 Below is what the Dead Sea Facial Mud Mask looks when first put on and then dried. The Dead Sea Facial Mud Mask is available on Amazon. Book Summary: When his baby cousin Zander runs away, Chaz finally has a chance to live his dream of rescuing someone and proving his bravery. But Zander doesn't want to be rescued, and he certainly doesn't listen.